Photo: Hazel Path, ca. 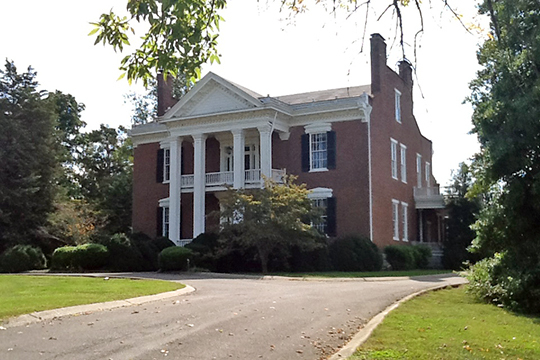 1857, 175 East Main Street, Hendersonville, TN. Listed on the National Register of Historic Places in 1970. Photographed by User:Sydney Smith (own work), 2014, [cc-by-3.0 (creativecommons.org/licenses/by/3.0)], via Wikimedia Commons, accessed November, 2014. The Sumner County Administration offices are located at 355 North Belveder Drive, Gallatin, TN 37066; phone: 615-452-3604. Sumner County was organized in 1786 from Davidson County. It was named for General Jethro Sumner (1733-1785) who served in the Revolutionary War and the War of 1812.